Zeeaura is a singer/songwriter based out of Singapore who just released her debut single, Monkey Land. Her music is a collection of stories from life growing up as a mixed culture kid from Singapore and Indonesia. She is unapologetically experimental, writing pop music with noise, using multiple languages, even coughs! Over the years, her works have been well received, winning songwriting competitions such as Pink Ribbon Walk Songwriting Competition 2013 and SG:SW 2018. Zeeaura is currently composing for theatrical works by Young Artist Award winner, Ian Loy. Her belief in arts that advocate positive changes, also motivates her to share her knowledge through music education. She has led music workshops in Singapore Prisons, Singapore Girl's Home and more local institutions. LEW, is a twenty one year old local singer-songwriter who translates something intangible, emotion, into an embrace that is rough but real. His voice is a melodic silky sound that hugs you like a friend, and takes you home. In 2017, LEW released his debut album “Lullacry” at his sold-out album launch. “Lullacry” reached #1 on the Singapore iTunes Charts, #6 in China and #9 in Taiwan respectively,. Since then, he has released 2 more EPs in 2018, “There’s Something In My Eye” & “ENFJ”, and amassed over 4 million plays on Spotify. The acoustic-pop artist is now based in Boston, pursuing a degree in songwriting at Berklee College of Music. He recently the Performance Division Voice Award from the music college for his outstanding achievement. 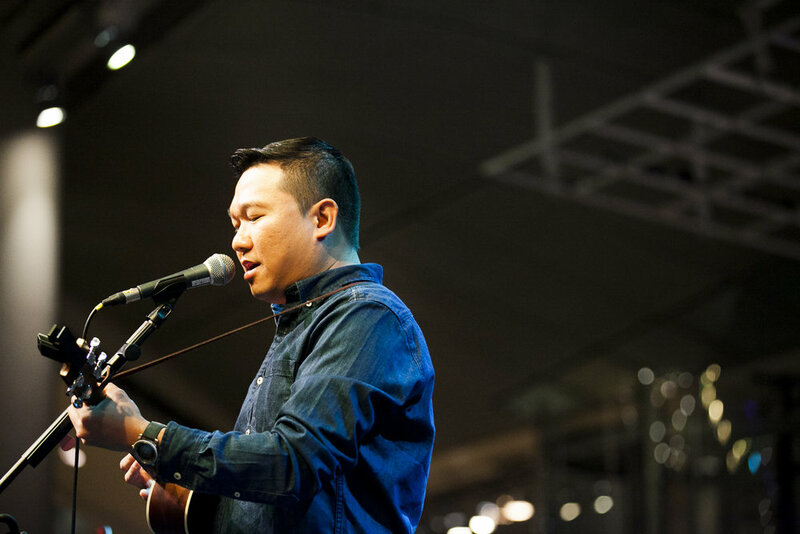 Kenneth Leow is a young singer-songwriter from Johor Bahru, Malaysia. His debut 5-track EP was released on 10th April 2017 and trended on Spotify with over 3300+ listeners in less than 3 weeks, with 3 tracks from his EP featured on New Music Friday Spotify curated playlists. A multi-instrumentalist, he started playing the piano and organ since he was 3 years old, eventually taking on classical guitar at 14. This classical training influences his finger style playing today, inspired by the likes of Coldplay, Passenger and Bob Dylan. Kenneth writes songs about life’s universal themes - friendship, politics and love, often through the lens of a children's storybook that is at once poetic and fresh. Jude Young took his first foray into music when he released his home-recorded, solo project, “The Caterpillar Sandwich EP” in 2012 to much critical acclaim. It demonstrated the young Singaporean singer-songwriter's penchant for sweet and charming acoustic pop, showcasing his alluring sensitivity for words, rhythm, and melody. Since releasing his debut EP, Young, in 2016, his digital sales have charted top 10 on iTunes Music and garnered close to 1 million streams on Spotify. Jude has performed at multiple events around Singapore’s music festivals and major stages. He was also named one of the “creamiest of the crop” by Popspoken for Yahoo News Singapore, sharing accolades with local artistes like Gentle Bones, Trick, and The Sam Willows. Quiet, understated, hushed. There is a strong ethic of hand crafted love when you encounter the sound of Giants Must Fall. Simple, yet experimental. Sweet, yet intensely stirring, relentless and visually cinematic. Where less is more, the loudest storm is often found in the softest hush. This is the spirit and soul of the 5 piece band from Singapore. Indie post-rock at it's simplest, most modest, most accessible, most poetic. The band has released 2 EPs to date, each intensely beautiful contemplative and thematic offerings that stir at an emotional depth one will find hard to put words to. Formed in 2014, the quintet is Singapore's addition to the melting pot of musical acts coming out of the country island. The band is uniquely global as it is local. Made up of members from Australia, South Africa and Singapore, the band is like an indie super group, bringing together the best musicians and creative forces who each have a strong track record in live performance and diverse song crafting. Likened to a military storehouse, the 5 piece band is vault of artists, craftsmen, producers, designers and entrepreneurs, each with an arsenal of artistic assets. The result is a unified treasury of musical experience, songwriting and live performance. Timothy De Cotta - bass, backing vocals. A Singapore native singer/songwriter who has spent a decade relentlessly writing, producing and performing his nostalgic blend of folk, blues and soul to audiences across the world. He has performed at music festivals, from small pubs and bars at major cities through Singapore, Melbourne, Cairns, Manila, Kuala Lumpur, Nashville, Los Angeles, Cannes, Paris, Hong Kong and parts of China. With music described as "vintage-like, heartfelt melodies" (junkonline.com), Charles first cut his teeth as a performing songwriter, living in Melbourne, Australia, performing at cafes and pubs. In 2009, he won a local music competition, The Storytellers, while also earning a nomination as Finalist at the Australian MusicOz Awards in 2010 and 2012. In that time, Charles spent a stint in Nashville, Tennessee, understudying industry songwriters to better his craft, eventually leading to self-producing and releasing two albums to date with key singles getting regular radio rotation in Singapore and community radio in Australia. 2018 Copyright Small Batch Music Publishing. All Rights Reserved.